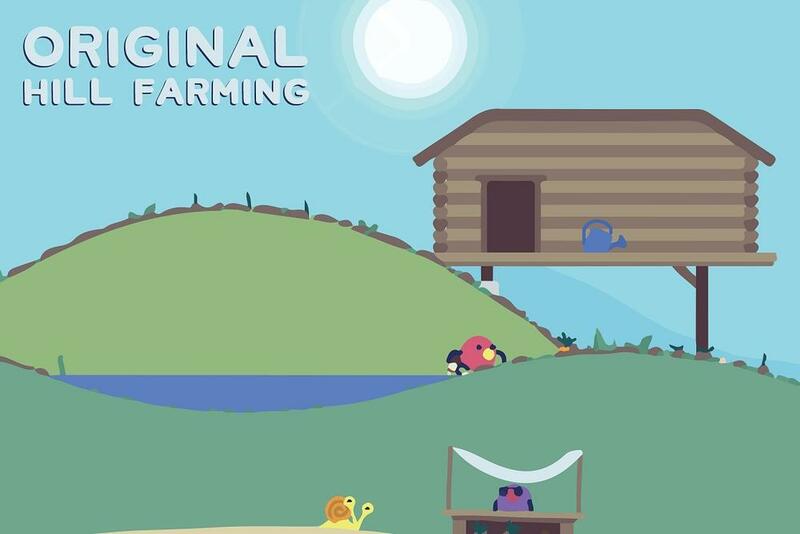 Original Hill Farming is a roguelike farming game set on an island. The game mixes urgency and serenity in a colorful way. Grow plants with numerous awkward interactions while having local wildlife make it just a little bit harder for you, such as a mole taking of with your shovel. Desperately await the emergence of your first tomato so you won't collapse from famine or start over on a new island!